Well done and congratulations Ashleigh! Luke was able to show a good understanding of the course. He interacted well with the group not just answering my questions but the MeasureUp questions as well. He was also able to ask relevant questions and was able to achieve good mock scores. 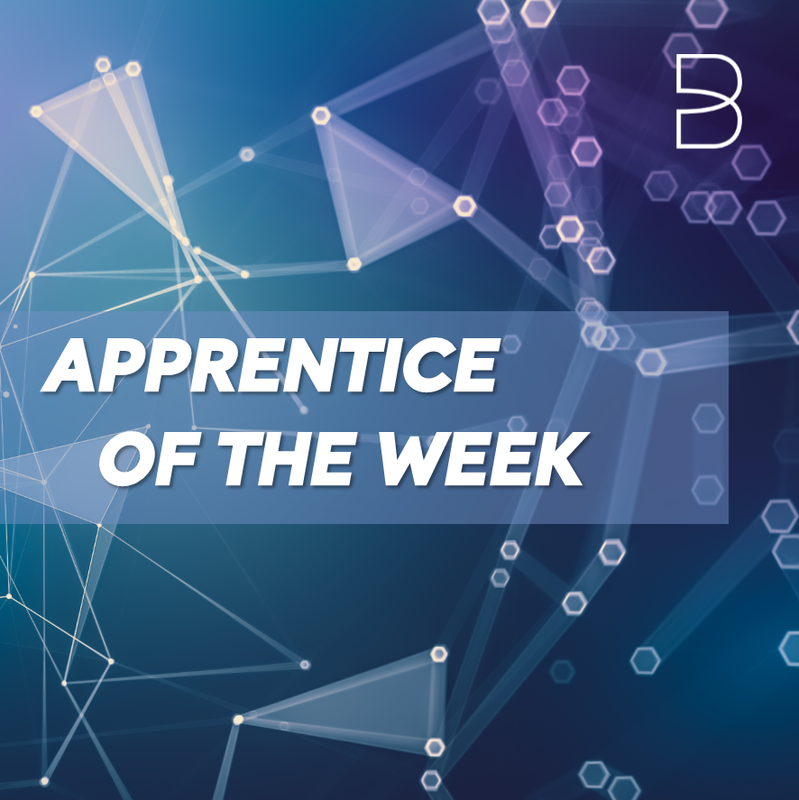 Ashley has been brilliant to have on course this week, her work has been to a very high standard and all throughout the week she has always been fully willing to complete all of the tasks to her best ability. I look forward to having her on course again. Callum had a great week, highlighted by his fantastic mock results. The quality of his work throughout the week was excellent. Callum also had no issues with attendance or punctuality, he was always in early for before the session started and returned from breaks in time. Its has been difficult to choose a learner of the week this week as both Lee and Thomas have provided great interaction within the class. Thomas has always attempted to be involved and answered directed questions. The end of week test result is the only way to distinguish, well done Thomas. Joe is my learner of the week as he went above and beyond to help others this week. We always encourage apprentice participation and support and it was great to see Joe supporting his peers whilst on course. Amelia produced work to a very high standard and she came across very confident on the mic. It is because of this that I am making Amelia my learner of the week. A superb effort from her. Working as a Digital marketer since January this year, working from the office this week, enjoying coding, has some experience of back end system, website, HTML, CSS prices on social media, Facebook, mail chimp. Can do coding and uses PHP extensively. David was one of the few people that used the mic and he just needs to slow down and think about the questions to get the right answers. He was getting around 100% most of the time so I don't envisage any problems with him. With his go get attitude and forthright ambition, David is my learner of the week. He topped off the week by getting 100% in the final test, well done! Simon frequently contributed verbally. His humour was off the wall but very entertaining! His work was excellent. Matthew has impressed me with his enthusiasm and positivity keen to get involved in every task and his work has been excellent this week. Connor was ace all week and really got the 310 Business Process week in between his teeth. He was always questioning but not in an irritating way but just asking for clarification here and there. His disappointment with some relatively low scores proved he really wanted to do well here and his chat and mic contributions and general activity was noted. An excellent week.